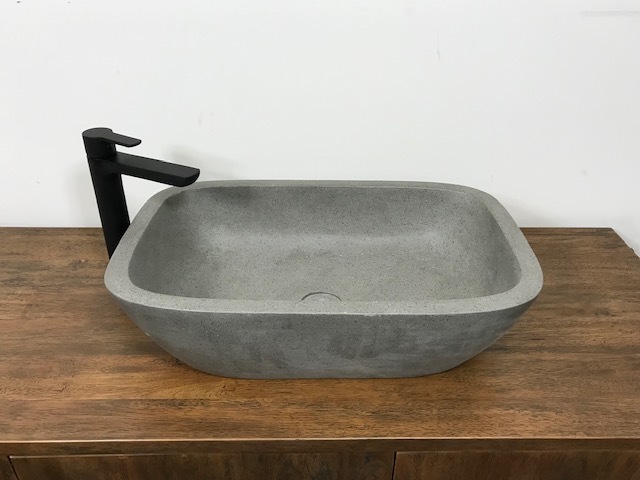 There are 80 different basins to chose from with matching pieces for all of our baths. They come in a range of different shapes and sizes to suit any bathroom. Our basins start from 40cm and can be as large as 1m. These are Stone, Riverstone, Marble, Doreng Stone, Petrified Wood and Erosi Marble - in stock.